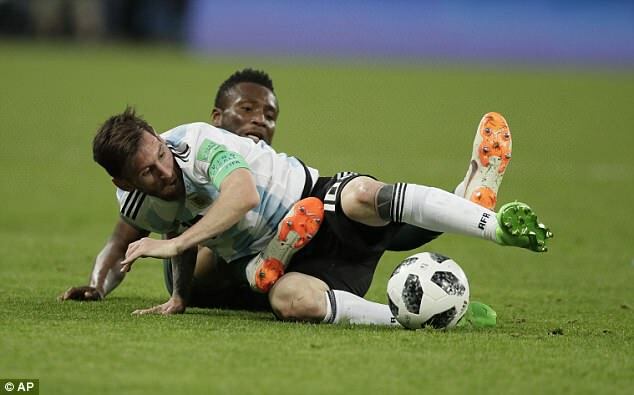 John Mikel Obi was told his father had been kidnapped in Nigeria and would be shot if authorities were informed, only four hours before he captained his country in their 2-1 defeat by Argentina in the World Cup on June 26. 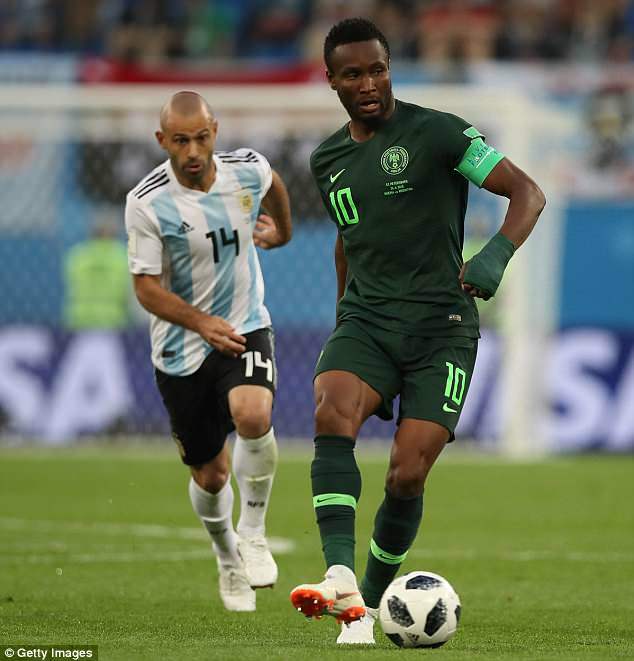 After being informed by a family member on the bus to the stadium, Mikel chose not to confide in the Nigerian Football Federation (NFF) so as not to distract his team ahead of a decisive World Cup match. Police freed his father, Pa Michael Obi, on Monday, but he is now in hospital after being tortured by his captors. ‘I played while my father was in the hands of bandits,’ Mikel told The Guardian. ‘I had to suppress the trauma. I took a call four hours before kick-off to tell me what had happened. ‘I was emotionally distraught and I had to make the decision about whether I was mentally ready to play. Mikel praised police for their efforts in securing the release of his father. ‘I thank the police authorities for their rescue efforts and the support I’ve received from friends and family members. Mikel’s father has been kidnapped before, in 2011, and was held for 10 days in the city of Kano. When he was freed, he said he had been ‘beaten mercilessly’. 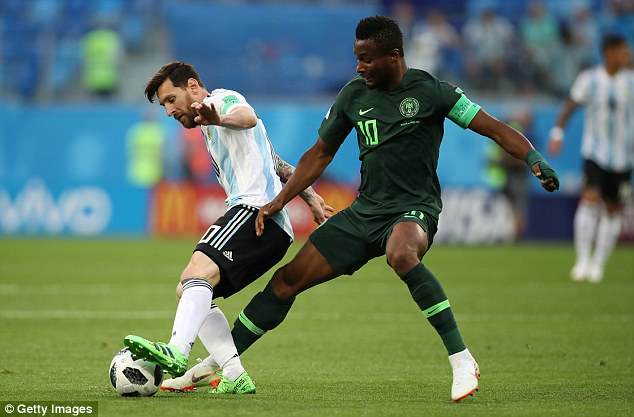 Nigera lost the match to Argentina 2-1 at the Saint Petersburg stadium and went out of the World Cup. Mikel played the full 90 minutes.